Blu-ray/DVD タッカー＜４Kレストア版＞ - Titles | 是空（ぜくう）| 映画・映像コンテンツの輸出入・配給・製作 | Zeque Productions, LLC. 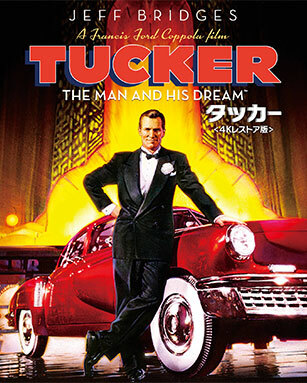 Tucker: The Man and His Dream TM & © 1988 Lucasfilm Ltd.(LFL). All Rights Reserved.